Whether you are looking to reduce energy cost, increase output or improve quality of existing mills, or selecting a new grinding plant, this seminar will provide you with the practical answers from a company with vast amounts of knowledge and data accumulated over 90 years in the field of grinding and separating. Participants will have the opportunity to not only learn but also personally exchange experience with Christian Pfeiffer experts, invited speakers and fellow delegates in a relaxed and small group environment. Technical, Production and Maintenance Managers. Engineers responsible for operating and/or maintaining grinding plants and equipment. It will offer you the opportunity to enhance your knowledge about grinding and separating processes and their optimisation in both theory and practice. You and your staff will profit from the vast experience of our experts, learn about the latest developments in the field of cement grinding and get lots of solution approaches relevant for your scope of responsibility – no matter whether it concerns the increase of production rate, the improvement of product quality or the reduction of energy consumption. 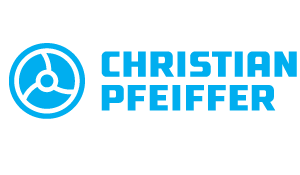 In addition you will have the opportunity to personally share your own experiences with our Christian Pfeiffer experts. Visit to a German cement plant in operation. Places are limited so please contact us asap to register. Seminar fee is Eur 2980.00 however there is an early bird rate of Eur 2500.00 if registration is made before 30th June 2017.